Just Crafty Enough – Book Review: Picture This! 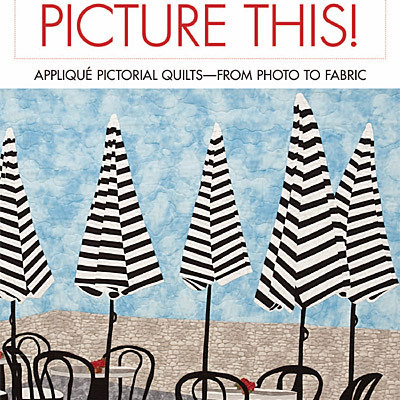 I found this book a Bay Area quilting shop: New Pieces, in Berkeley. The book features some unbelievable pictorial quilts. And then, it goes on to tell about how to take a photograph – the inspiration – and turn it into the quilt itself. The quilt on the cover is beautiful. 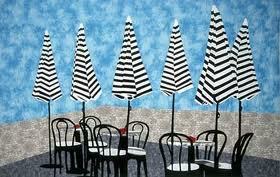 The stripes and the umbrellas have a rhythm to them. And it is like being transported to a vacation. The real magic is the way she shows the original photos, and then the quilt that was made from it. 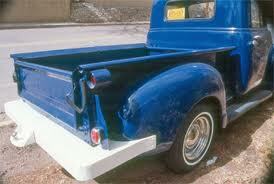 The fact that it is a truck is even better. 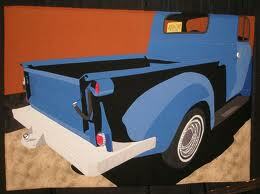 I have a vintage car/truck guy in the house, and this holds a lot of appeal. She said, “Thank you”. It was Marcia Stein herself! I got a copy and she signed it for me too! Wow! This books makes it seem like I really could accomplish a quilt like this! How exciting. Happy Quilting! 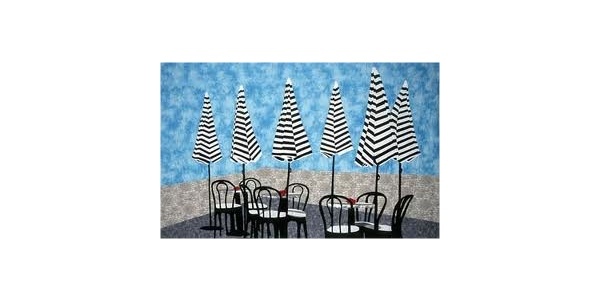 7 years ago by Susi in Needlecraft , Quilting , Reviews | You can follow any responses to this entry through the RSS feed. You can leave a response, or trackback from your own site. One Comment to Book Review: Picture This! My mom would have loved this book. I don’t think she does quilts at all anymore, but growing up she was making a crazy quilt with quite a number of pictorial blocks. Some of those blocks were based on photos, like one of my younger brother and I with a pail at the beach. So cool!